Classic French is a timeless look that will never be out of fashion. 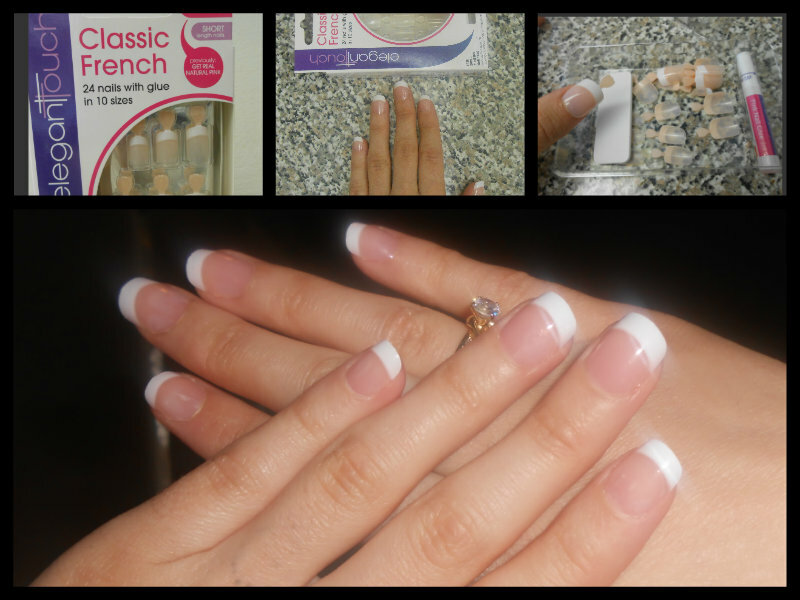 Glue on nails are fantastic if you want beautiful results for up to 10 days. These nails are easy yo use and only take minutes to apply. (Pink, Bare in x-short, short and medium sizes). I have this on short size and American Pink color. These are really nice and my nails now look that little bit longer and very elegant. These are a really nice false nail and look very natural,and they do stay firmly on for 7/10 days. I don't think I will go any "longer" as this size looks so nice and suits my type of hand really well, they are not too long so you can work with them on, the little tag on the tip to hold them by is a great invention, saves all the glued fingers. Value for money given the price of a professional doing them. I just wanted to add that after wearing these nails for 8 days they still look brilliant,only had to take them off because nails had grown and you could see the gap. These nails are highly recommended and I cant wait to try the decorated ones ! * Variety on sizes to suit. * Good quality glue in the pack. * 24 nails in 10 sizes. But they've turned out really nice!